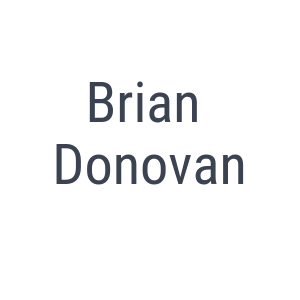 Brian Donovan is the former Executive Director of the Austin Cooperative Business Association (ACBA), a regional cross-sector trade association for cooperatives. From 2005-2013 Brian managed the Univ. of Texas Inter-Cooperative Council, a student housing cooperative. Brian served on the board of NASCO Development Services for 8 years and the NASCO Board for two years. Presently he is Co-Director of The Cooperation Group, a non-profit cooperative development organization based in Detroit, Michigan. Before working in co-ops Brian worked for Apple as the manager of the Inside Sales team serving educational institutions. He also has experience working in politics in Texas including managing campaigns and organizing for ethics reform at the state level and for cooperatives at the local level. Brian recently assisted the Austin City Council in passing a resolution supporting cooperatives including $60,000 for starting and expanding the local cooperative economy. He is currently a trustee of a revolving loan fund supporting housing cooperatives: the Kagawa Student Cooperative Reinvestment Fund at Shared Capital Cooperative.